Open up your world to the artistry of one of the world's finest! Where do you fish for ideas? 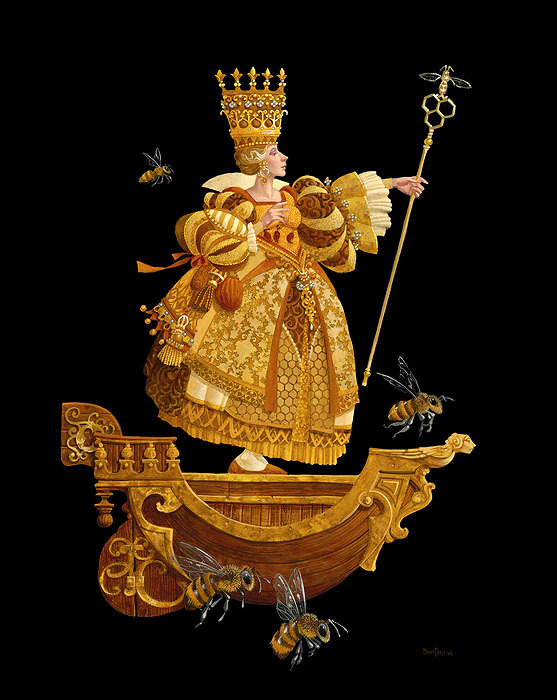 When you’re idea-fishing with artist James C. Christensen, you’re baiting your hook for something magical. And what’s more magical than a mermaid? Now, there’s an idea! In “Fishing for Mermaids,” Christensen muses on the creative process of finding ideas. 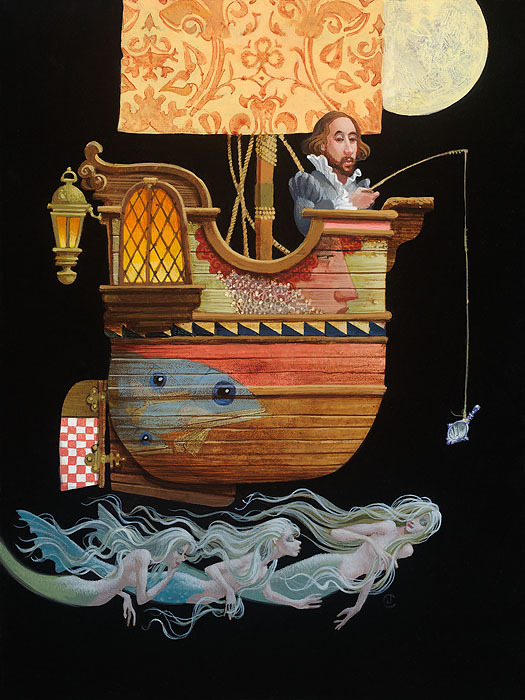 Our fisherman is William Shakespeare, and he’s fishing for a muse in the form of a mermaid. He’s come prepared, and knows that using a hand mirror as a lure will appeal to the vanity of a mermaid, bringing his catch to the surface so he can get a closer look. For the moment, he sits patiently, knowing his catch will be well worth the wait. 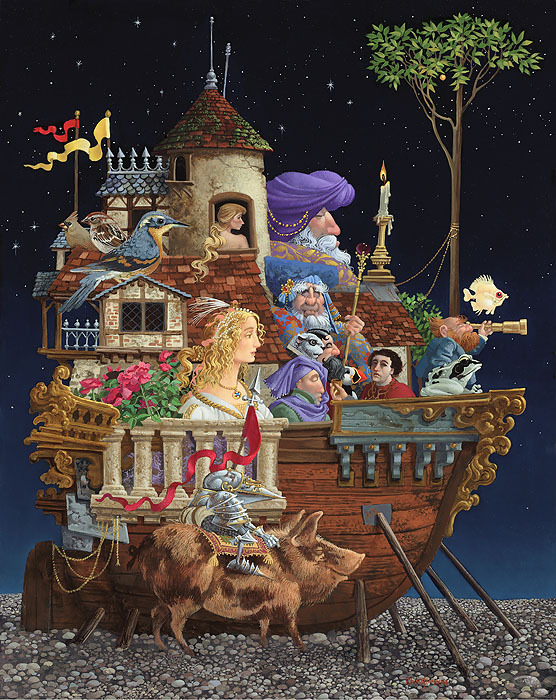 Image size: 12"w x 16"h.
Image size: 15"w x 19"h.
The boat-as-metaphor for life’s passage is a familiar Christensen motif, as is the fish as faith and spiritual guidance. 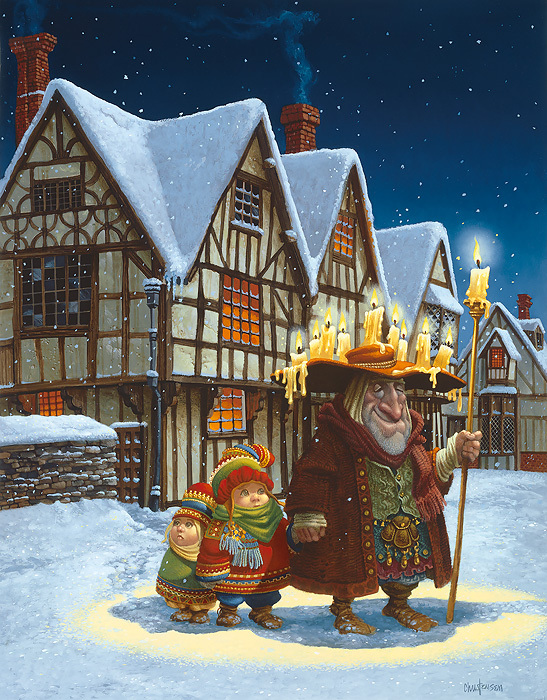 Christensen collectors will notice additional familiar travelers in this land-locked community of birds, passengers and apparent royalty, all guarded by a petite knight in armor on a pig. Image size: 19"w x 24"h.